Integration of the Oculus SDK into Magnum. Note that there is also a WebVR example and a Leap Motion example. 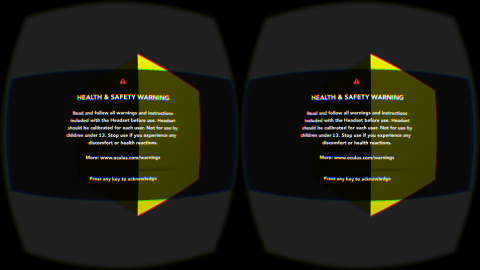 This example requires you to have the Oculus Runtime 1.3.0 or newer installed. Since Oculus only supports Windows, the same holds for the example. If you don't own a HMD, you can still try the example. If no device is connected, it will create a debug HMD instead. This example was originally contributed by Jonathan Hale. The example makes use of the Oculus SDK, see documentation of the OvrIntegration namespace for license information.